Hans Mattsson, professor emeritus from the Department of Real Estate and Construction Management, KTH Royal Institute of Technology, Stockholm, will hold a presentation on the 29th of August, at 09.30 in the Yellow room, Circus Building. The Centre for Land Tenure Studies (CLTS) is pleased to invite everyone to a presentation by Hans Mattsson (picture) with the title "Är utbildningarna av lantmätare (jordskiftekandidater) i Europa inte anpassade till marknadens behov?". The seminar is open and everyone are welcome. 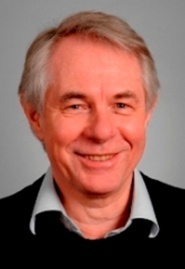 Hans Mattsson is professor emeritus from the Department of Real Estate and Construction Management, KTH Royal Institute of Technology in Stockholm. The seminar will take place in the Yellow room, Circus Building on Friday, 22nd of August, at 09.30.